It's all in the details. Especially when it comes to style. Some of my favorite details are pops of gold, pretty pom poms, and of course, tassels! 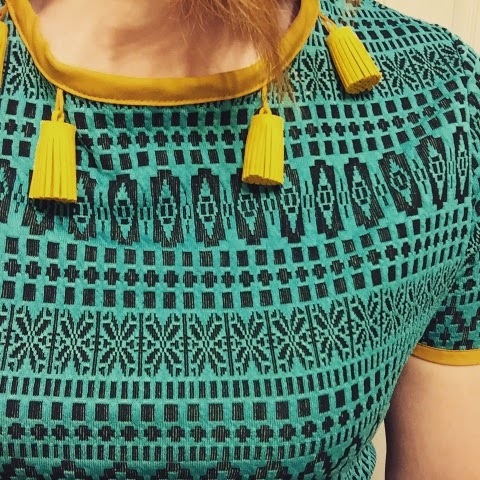 I have partnered up with Shabby Apple again to share one of their gorgeous dresses and it has tassels! 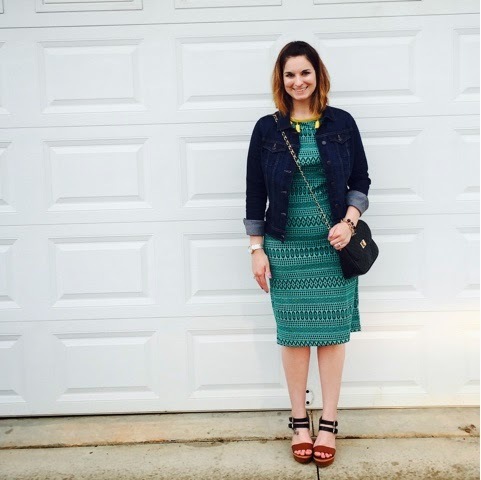 There's just nothing better than a dress that makes you feel put together and stylish. I love colors of this Medina Dress as well as the design. The tassel neckline is my favorite. No necklace needed. The quality of Shabby Apple items is honestly superior to many other companies. They hold up perfectly after being laundered and keep their shape. 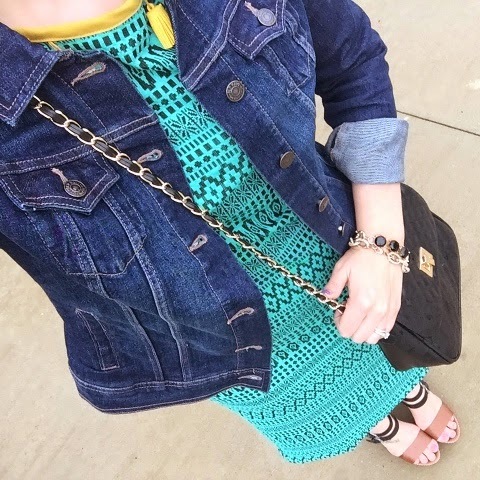 I paired this form fitting dress with my go-to denim jacket and pops of black to coordinate with the pattern on the dress. Have you tried Shabby Apple? 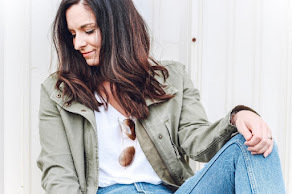 If not, follow the link below to discover their gorgeous line of clothing and accessories.